Unfortunately, a lot of people still believe that those claiming to have mental illnesses just make them up and it’s “all in their head.” However, a new study in the journal Current Biology might finally put the stigma to rest. Researchers found that people who have anxiety perceive the world differently because of differences in their brain. Therefore, the sufferer doesn’t choose to have anxiety; it just happens to them based on genetics and past experiences. Researchers from the Weizmann Institute of Science in Israel discovered that it boils down to the brain’s plasticity, or its ability to change and form new connections based on exposure to different stimuli. This will determine how a person reacts to that stimuli. In their study, researchers found that people diagnosed with anxiety can’t distinguish between safe and threatening stimuli as well as people who do not have anxiety. Scientists found that those suffering from anxiety had lasting plasticity in their brains long after coming into contact with a stimulus, meaning that the brain couldn’t differentiate between new, non-threatening situations and familiar ones. The inability to distinguish between the two stimuli, in turn, causes anxiety. Anxious people tend to put all experiences in one category, in other words, due to their inability to distinguish between safe and unsafe situations. Researchers noted that people with anxiety cannot control this reaction to stimuli since it’s due to a fundamental difference in their brain. For the study, the participants were trained to associate three specific sounds with one of three outcomes: money loss, money gain, or no consequence. In the next part of the study, participants listened to approximately 15 tones and researchers asked if they had heard them before or not. To “win” the tone-identifying game, participants would have to differentiate between the old and new sounds, and not overgeneralize them. The study authors found that anxious participants had a higher likelihood than non-anxious individuals of confusing the new sounds with the old ones. This didn’t happen due to a learning disability or hearing problem, but rather a misperception in the tones they heard. They simply linked the sounds associated with money loss or gain to the new sounds, resulting in confusion. 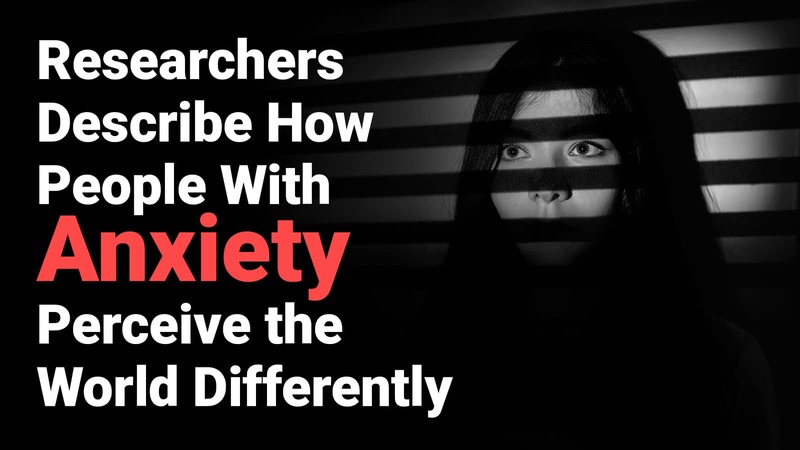 Researchers also found that, during the exercise, people with anxiety showed differences in the amygdala, a part of the brain that governs our response to fear. According to the authors, the results of the study may explain why some people develop anxiety disorders and others don’t. “Anxiety traits can be completely normal, and even beneficial evolutionarily. Yet an emotional event, even minor sometimes, can induce brain changes that might lead to full-blown anxiety,” lead researcher Rony Paz said. The new research provides further proof that no one asks for mental illness, and people shouldn’t have to apologize for having them. Mounting evidence shows that mental illnesses have genetic and psychological causes, and that those suffering have dramatic differences in their brains. Despite all the research continuing to show the mechanics behind mental illness, the stigma is still very much alive. According to the U.S. Centers for Disease Control and Prevention, only 25 percent of people with a mental health disorder feel like others understand what they go through on a daily basis. They might think that people are talking about them behind their back (even if they aren’t). They may have a difficult time reading facial expressions. Starting and keeping a conversation going may seem impossible. Social situations can feel downright draining. They may avoid social outings as a result. They enjoy staying indoors alone rather than being out with friends. For a lot of people with anxiety, the world can feel overwhelming. With so many people to see and places to go, the choices seem endless. For people without anxiety, this fact might seem exciting. However, those with the disorder would rather keep their choices slim and stay inside. Too much stimuli can quickly overwhelm someone suffering from anxiety, especially if they also identify as an introvert. Many people with anxiety greatly benefit from a calm environment. A relaxing night curled up on the couch with some hot tea and a good book will often suffice. They often feel like they can’t relax. For someone with anxiety, it can feel like having energy locked up in your body with nowhere to go. This pent-up energy can wreak havoc on the body, causing symptoms such as heart palpitations, sweaty palms and feet, stuttering, and difficulty focusing. Exercise and/or meditation can help a lot of people, but others benefit from therapy as well. People without anxiety might come home from work and shut their brains off from the day behind them, but the mind of the anxious never stops. People with anxiety may feel like their brain controls them, and often look forward to bedtime when they can finally catch a break. They fear that people have bad intentions. Those with anxiety often have a hard time trusting people. Even for those without social anxiety, starting and maintaining friendships doesn’t happen easily for anxiety sufferers. Some of them might feel like people have bad intentions for them and will take advantage of them if they get too close. Their brains are always on the lookout for the next threat, and this includes people as well. If they do have friends, it will take a long time for them to feel comfortable getting close to them. They have an obsession with being perfect. People with anxiety have a tendency to hold themselves and others to impossible standards. They are vulnerable to both internal and external pressures and will try endlessly to achieve perfection. Of course, some stress and anxiety can help us achieve goals, but too much can cause our plans to backfire. If an anxious person doesn’t reach their goal, they might give up entirely. Or they may fail to see their own limits and push themselves past their comfort zone. 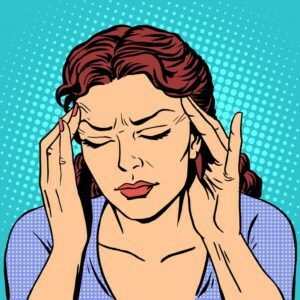 Perfectionism is a dangerous characteristic of anxiety; though it might seem harmless, it can cause people to develop distorted and obsessive thinking patterns. Those with anxiety have a hard time accepting defeat and will stop at nothing to reach their self-imposed goals. Because people with anxiety have an overactive fear response, they may react as if the world hangs in the balance of a decision they’ve been asked to make. In other words, they may seem highly frazzled or stressed out when doing something as simple as talking; they’re just reacting based on their perception of the world. Since those with anxiety have a hard time relaxing, the world can seem overwhelming with all of the stimuli and triggers. Loud sounds, bright lights, or chaotic environments might stress out some people with anxiety. Others might respond negatively to conversations, while the decision of what to eat might trigger someone else. In other words, people with anxiety already feel on edge, so the slightest thing might set them off. They have a very thin emotional skin, if you will, so they can get wounded quite easily. They never feel good enough. No matter if it’s their job, relationship, friends, or a social event, they never feel good enough for the life they lead. They will be overly critical of their job performance and might constantly feel like they’re being scrutinized by their coworkers. They might feel like they’re failing their partner due to self-perceived flaws and a distorted self-image. Friendships may seem unstable due to feeling inadequate in their social life. In the eyes of someone with anxiety, what they do and say will never measure up. They’re on a constant quest for perfection. This incessant need to become better might stem from a verbally abusive parent or bullies at school. Likewise, similar experiences may have molded their image of themselves. No matter where the feeling comes from, people with anxiety have a hard time changing their view of themselves. They tend to have a negative self-image, and likely need more encouragement and support due to this. For those with anxiety disorders, daily life can feel like hell on Earth. They have to try to make it through the day with their brains on overdrive. Additionally, they must constantly defend themselves to people who have no idea what they deal with. We hope this article shed some light on the battles that people with anxiety disorders face. The world needs a better understanding of this potentially debilitating disorder.